Police have tackled a number of incidents and made seizures in relation to suspected illegal hare coursing in Lincolnshire over the last few days. On Sunday four men from the West Midlands and Wales, suspected of involvement in hare coursing at Ruskington, were escorted to the county boundary. There was no evidence to link them to hare coursing. The same day two men from Nottingham were warned to leave the area following a report of hare coursers in the Easton area of Grantham. There was no evidence to link them to hare coursing. On Saturday a Peugeot 406 was seized following reports of hare coursing at Thorpe Tilney Fen. On Friday a man from Northamptonshire was reported for summons for trespassing in the pursuit of game at Kirton. 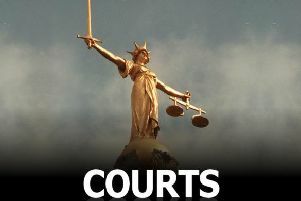 On Wednesday January 27 a Kent man suspected of being involved in hare coursing was given a formal ‘Direction to Leave’ Lincolnshire and escorted to the county boundary. The same day a lurcher dog abandoned by hare coursers in the Spalding area was collected by police and is now being looked after. The drivers/keepers of a Jeep Cherokee and a Subaru Forrester suspected of being involved in hare coursing at New Leake on Wednesday January 27 will be dealt with for failing to stop for police. On January 25 three men from the West Midlands were warned and asked to leave the area following a report of hare coursing in Stickney. There was insufficient evidence to link them to an offence. According to the force, since 1st September there have been 161 men arrested or reported for summons. Eighteen vehicles have been seized, 79 other men have been dealt with by other enforcement action such as Direction to Leave, traffic offences, etc.